Every maker has a story. 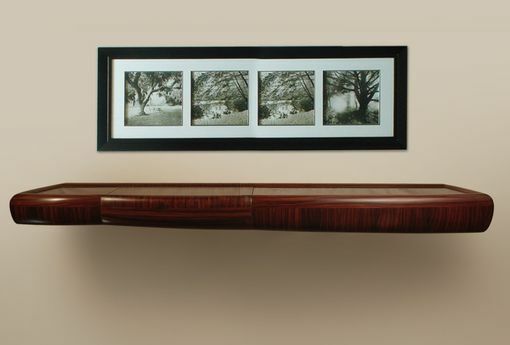 Be a part of Reed Hansuld Fine Furniture Craftsman's story by placing an order, leaving a review, and seeing your review appear here. This wall-hung table has a very sharp, sophisticated presence guaranteed to stand out in any environment. 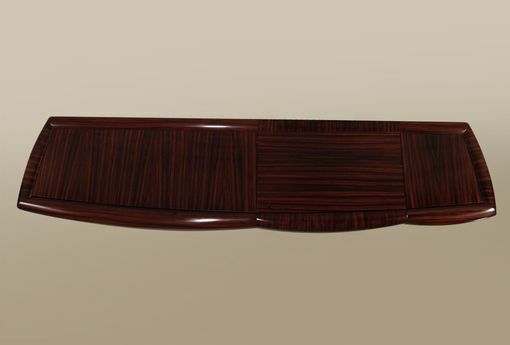 With its clean lines and alternating grain pattern this piece is visually very captivating. 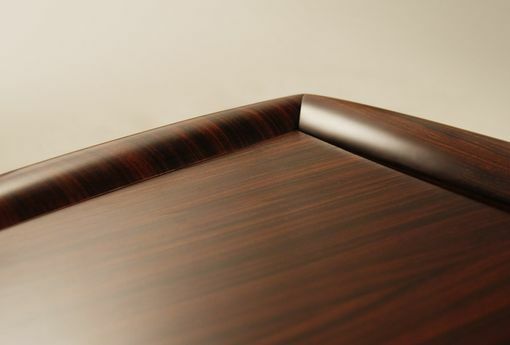 An exploration of compound curve veneering this piece also has two lidded compartments with custom made pivot hinges. 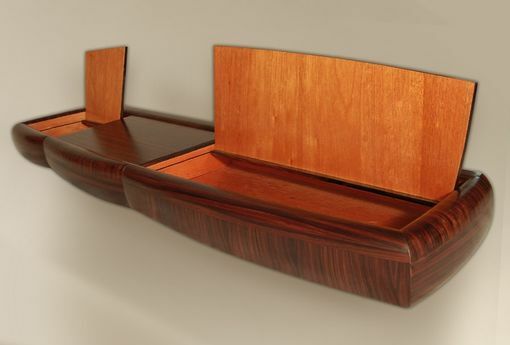 A one of a kind piece, built one at a time, created upon commission, available in a variety of domestic and exotic woods and dimensions. 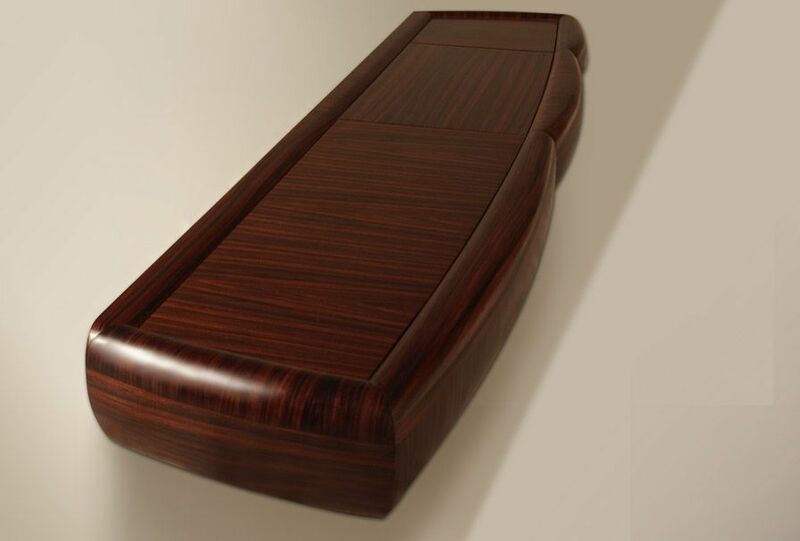 Pictured in macassar ebony.